"Tomb and stele of Fr. 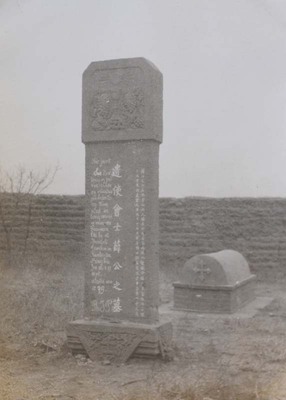 Xue"
Tomb and stele of Fr. Xue ( 薛) “famous Chinese Lazarist priest who died in 1859; when exhumed, his body was found intact." Tomb and stele of Fr. Xue. 1932/1933. Société des Auxiliaires des Missions (SAM) China Photograph Collection, Whitworth University Library, Spokane.